Another small project I've managed to finish in between chores. 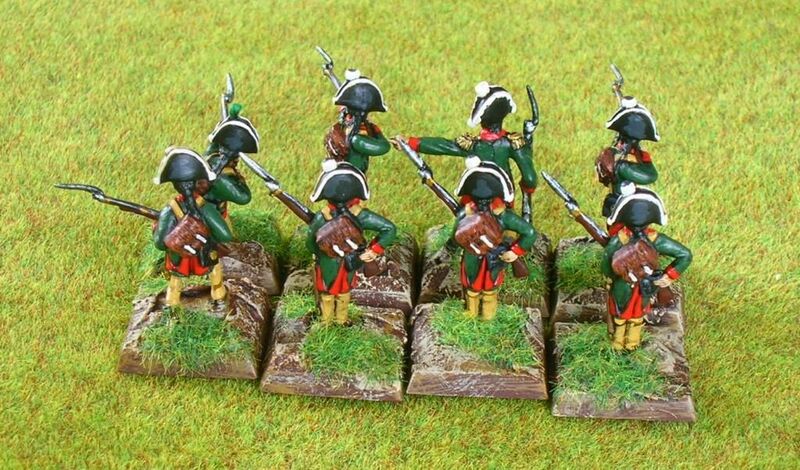 Here are some HäT Saxon Jäger also from the, early, Napoleonic era. 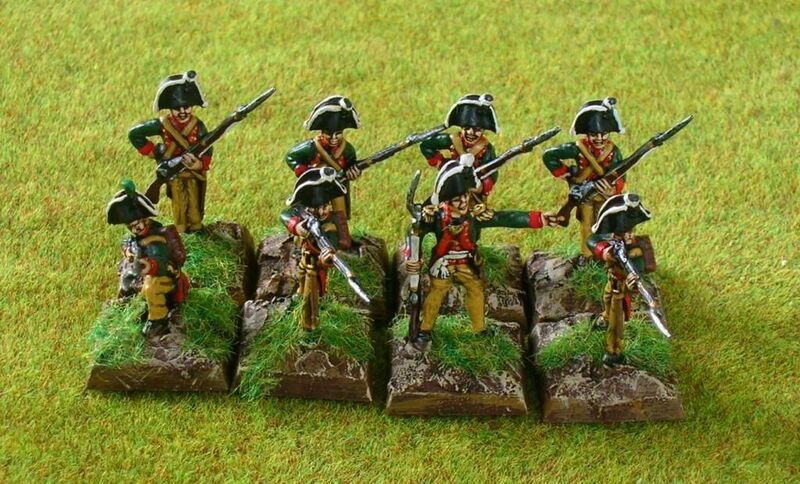 I kinda like these chunky chaps since they make for easy painting and don't look half bad either, judge for yourself. All rights reserved www.hat.com and www.hat72.com. Any unauthorized or commerical use of content or images are violations of applicable laws and will be prosecuted to the fullest extent of the law. Any trademark usage or proprietary images on this page are only for the purposes of review or such, and is considered fair dealing and permissible under the Copyright, Design and Patents Act, 1988 (UK). Copyright 2011.